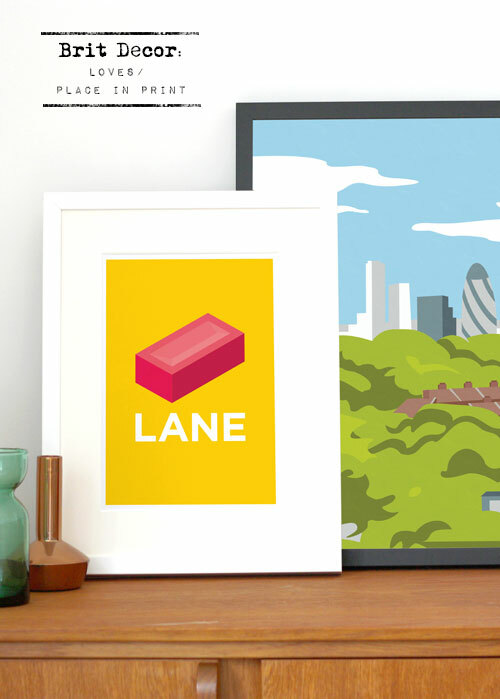 So here's the thing; I recently stumbled across Place in Print - a South London based design studio, designing a range of prints and products that celebrate the unique identities of the UK's neighbourhoods. Plus these guys have a really cool website - for any of you graphic design geeks like me! 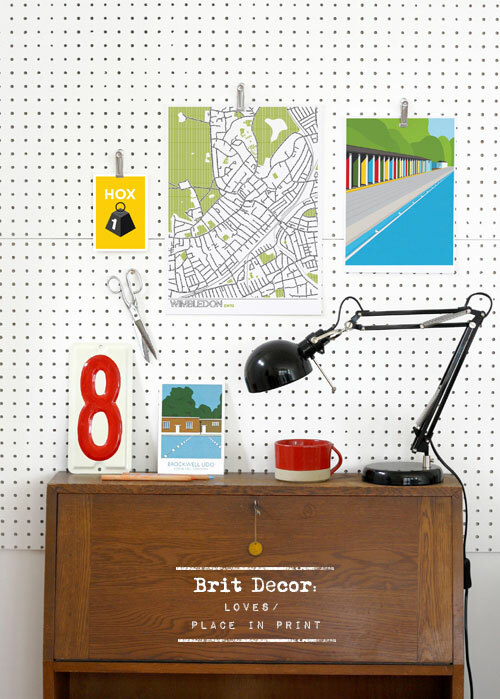 Quite simply, their aim is to bring beautifully designed, modern and affordable products to people's homes. Amen to that. 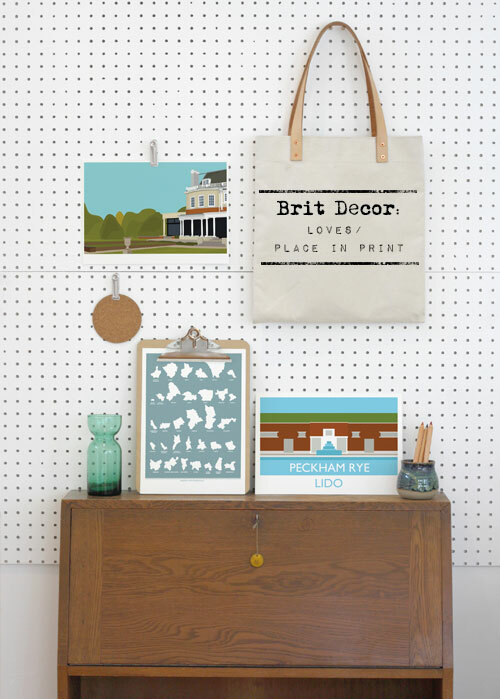 I was naturally thrilled to learn that the team at Place in Print have been big fans of Brit Decor for a while, and without over-egging the compliment, I have to confess that the feeling is mutual. 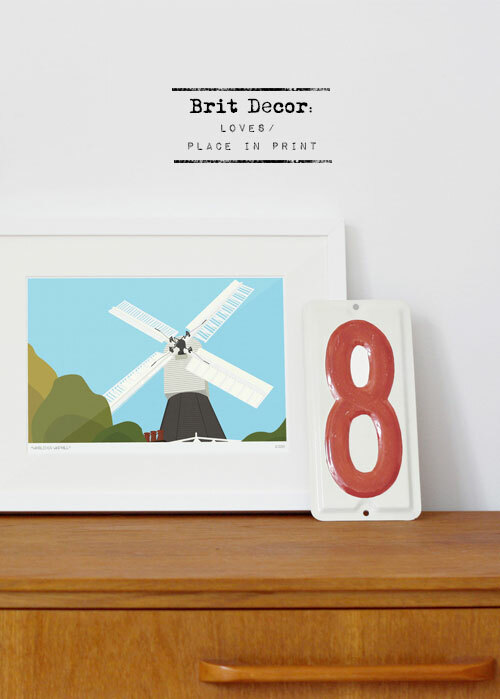 In particular, I'm a huge fan of their aptly named 'Neighbourhood Puns' range of prints, created in collaboration with graphic designer Pâté. The puns are some of the store's most popular designs, and the full range can be explored by clicking here. I hope you enjoy these prints as much as I do! 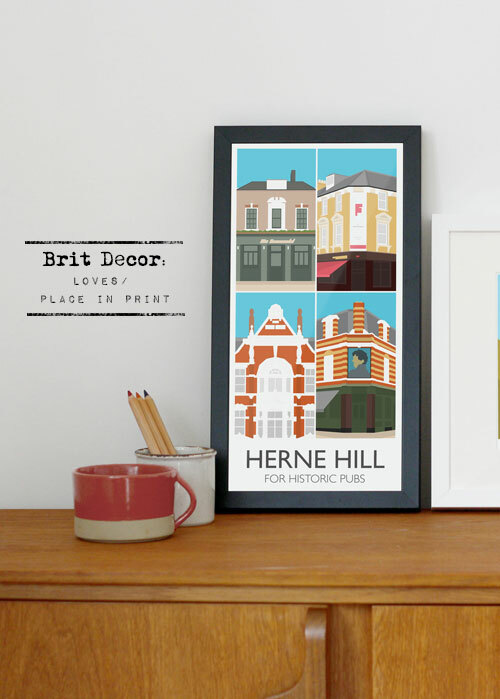 Love these prints they are fab graphic illustrations, loving Brick Lane!